Dishes - Belleville Tent, Table and Chair Rentals - Main Event Tent Rentals - Belleville, Quinte and Kingston Area. 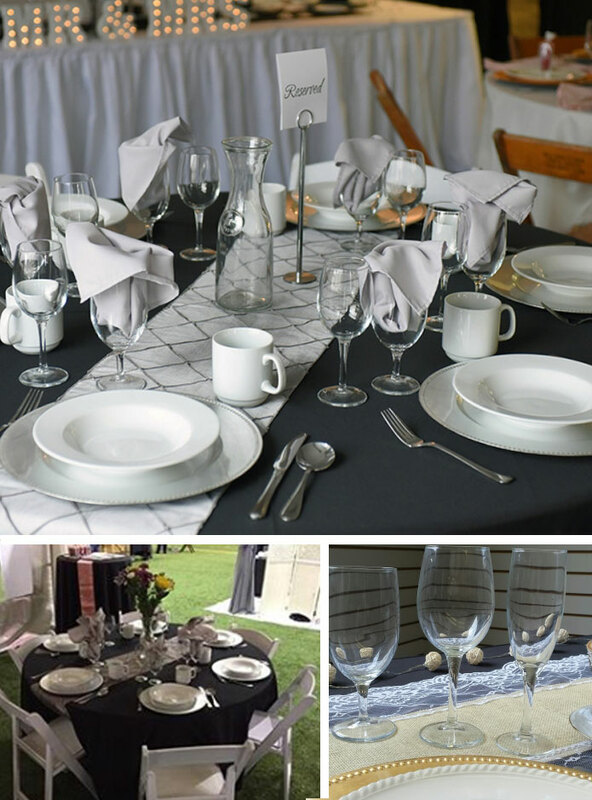 Main Event Tent Rentals offers a wide selection of glasses, plates and cutlery of many size and style. We appreciate that events can be overwhelming and our goals to help eliminate stress by providing services and finishing touches.